IPF Compliant. 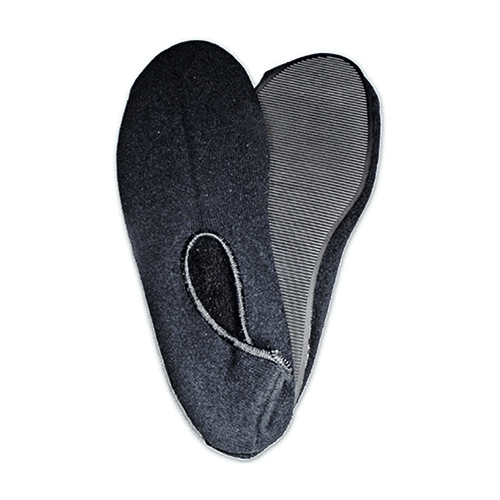 Minimalistic sole ensuring athlete is at lowest point toi the ground, facilitating shorter distance lockout. Rubber bottom providing pure grip for maximising stability. IPF Compliant. 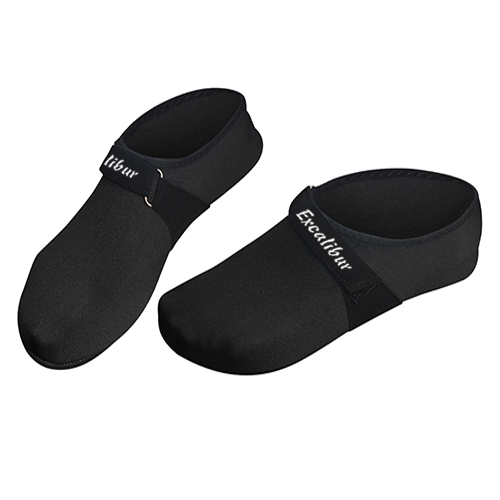 The next generation premium deadlift slipper incorporates additional tarsal support while maintaining the classic minimalistic design to maximise your deadlift leverage. One size fits all. 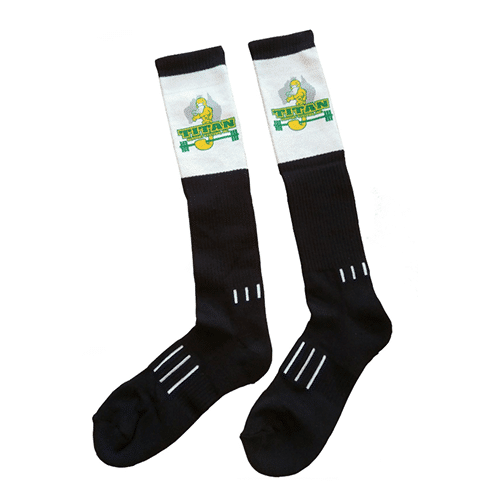 The ultimate deadlift sock in protection and comfortable. Made in USA. Easy to fit, extra durable stretch fabric. 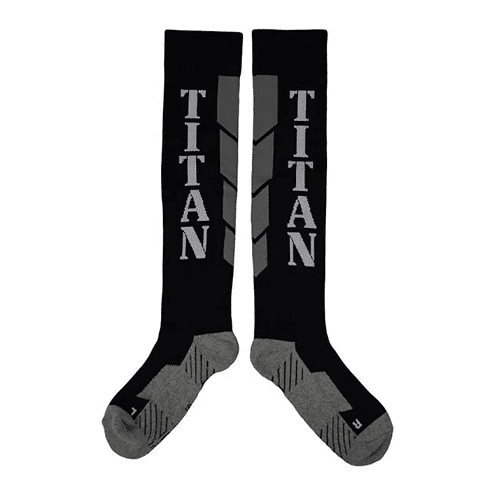 Ensures smooth bar travel over the shins during deadlifting. 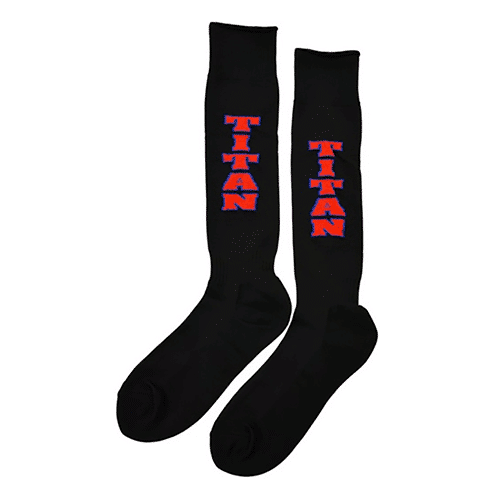 Titan High Performance Deadlift socks are the latest deadlift sock from the Titan range. Designed for explosive performance and advanced support.